Well, it was the first day of the year and as usual, Florida did not disappoint us in the news. From attempted stabbings over farts, to mailman robberies on tricycles Florida has been delivering on news of the outrageous and absurd for decades. Of course New Years Day 2019 would be no different. We a’int doing that in 2019. He was appropriately introduced to the suppressed Malcolm X generation. By any means necessary sir. In other word, “He caught them hands”. Her manager’s response. These white men pushed this black woman to the side as if she was the problem to be isolated. 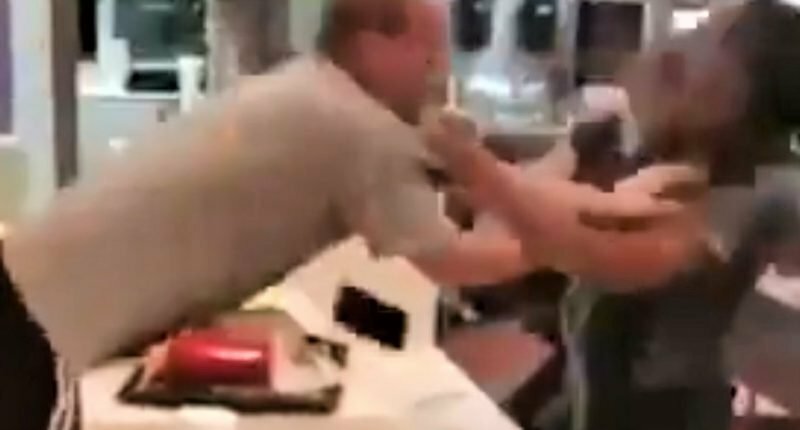 When the manager steps between the two, he approaches the customer as if he trying to diffuse a simple disagreement rather than address an actual assault on one of his employees. He even gave the assailant time to verbally continue his assault by demanding her termination. These are the blinders to racism that we’re talking about here people and if you don’t understand what I’m saying, check out this link that explains how the Netflix movie Bird Box is actually about racism.